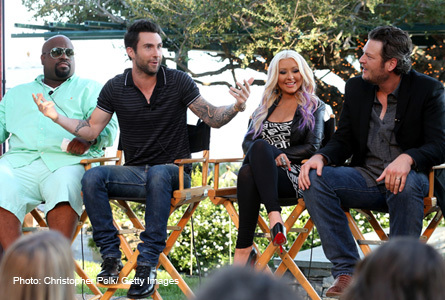 THE VOICE: Producers, Mentors Discuss Knockout Season Three! The producers reveal how the new knockout format will bring out the best from the artists and their coaches. What inspired the producers to come-up with the new “Knockout” round were when they witnessed battle rounds between talented singers such as Vicci Martinez and Niki Dawson in season one; then Jesse Campbell and Anthony Evans in season two. 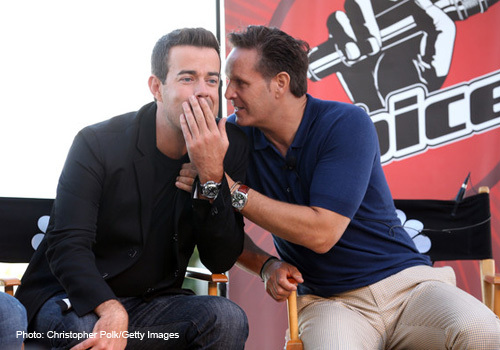 “The problem is we’re losing talent that is so hard to get on these shows. For the torso of this format, we need to make a couple of tweaks,” said Daly, and compared it to fantasy football type of element added for the mentors. 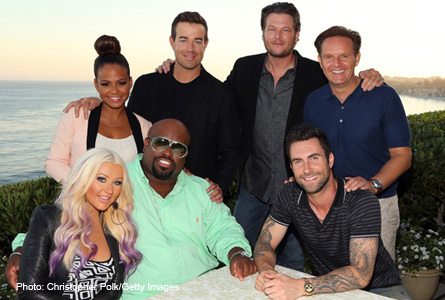 “The Voice” mentors discuss Season 3 changes. “People who deserve to stay, now get a chance to stay…eventually one of them is going to win”, said Executive Producer Mark Burnett whose house is where the press conference occurred.